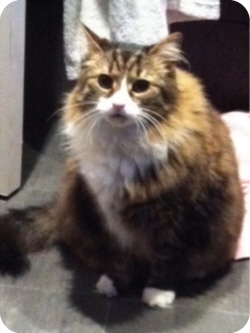 Oscar is an 8 year old cat who went missing from Springvale Avenue in Brentford on 19th July. He is a very timid cat and is on medication which he needs to take daily. Nick and Els are very anxious to find him and are offering a reward of £250 for his return.